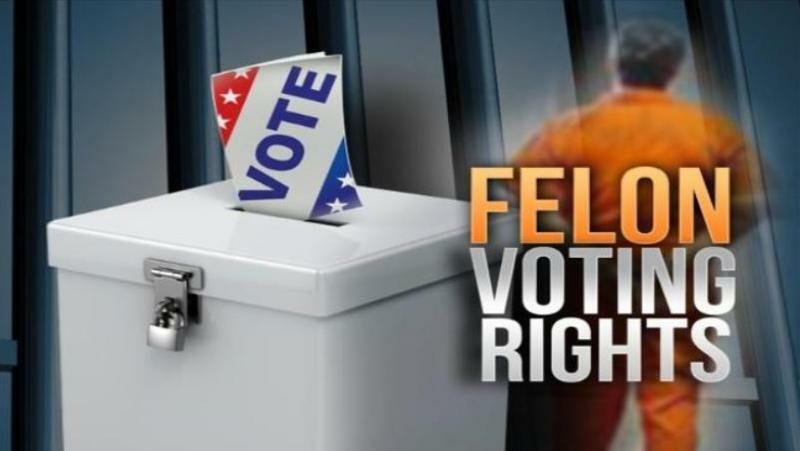 Florida voters overwhelmingly support a proposal to restore felons’ voting rights, known as Amendment 4. That was one finding in a University of North Florida poll out Monday. Arlington resident Thomas Mitchell can’t vote because of a robbery he was convicted of in 1980. He said he’s not the same person he was nearly 40 years ago. Yes, he made a mistake, as we all do, but he said he served his 10-month jail sentence long ago. He hopes Florida voters will believe in second chances, he said. “Think about the next man, the woman, and let’s make life better for the next person by voting,” he said. If the UNF poll results hold true in November, Mitchell and 1.5 million others like him will be able to vote again. The poll found 71 percent of likely voters are in favor of Amendment 4, said UNF pollster Mike Binder. “And there’s support across all parties. Democrats are at 83 percent. Republicans are even at 62 percent approval,” Binder told WJCT News. Just 21 percent of those polled were opposed, and 8 percent were unsure. Regarding race, 82 percent of African-American respondents indicated they would vote “yes” on the amendment, while 69 percent of white respondents and 65 percent of Hispanic respondents claimed they would vote “yes” on the proposition. Read more about Amendment 4 here. Amendments require 60 percent of voters’ approval to be added to the state constitution. The fight to restore voting rights for those with a felony in their past has become a rapidly intensifying factor in shaping upcoming state elections. After an apparent political victory for Gov. Rick Scott’s cabinet, Democratic challengers are hitting back.